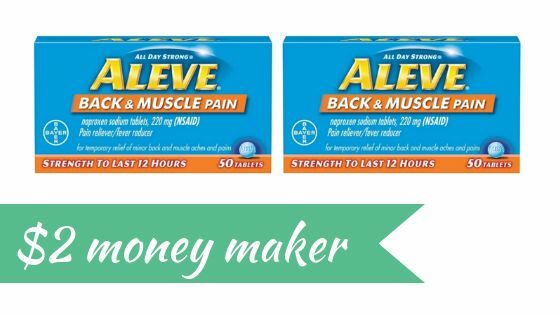 Home > CVS > Money Maker Aleve Pain Reliever at CVS This Week! 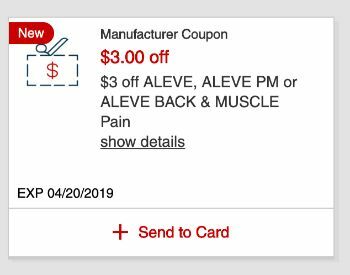 Head to CVS this week and get completely FREE Aleve pain reliever! We’ve got printable coupons, plus most folks have a new store coupon for $3 off Aleve as well. Check your CVS account online or stop at the coupon center to get your store coupon. Makes it FREE + $2.26 profit! If you don’t have the store coupon, they are still a great price at 36¢ per box! This is definitely a deal to grab this week (or get a raincheck for if your store is out by the time you get there).